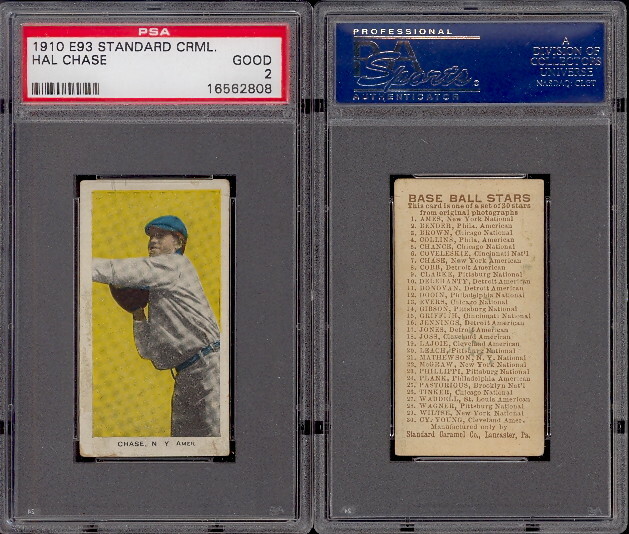 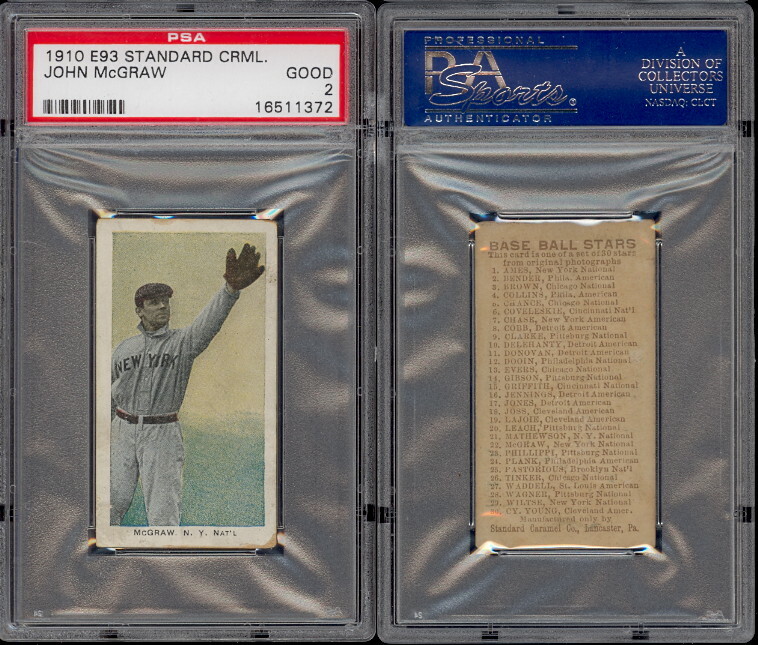 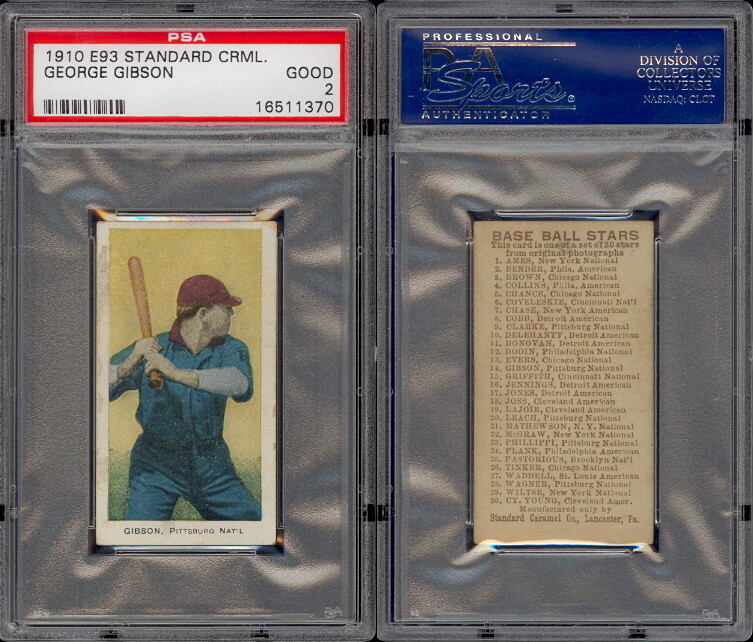 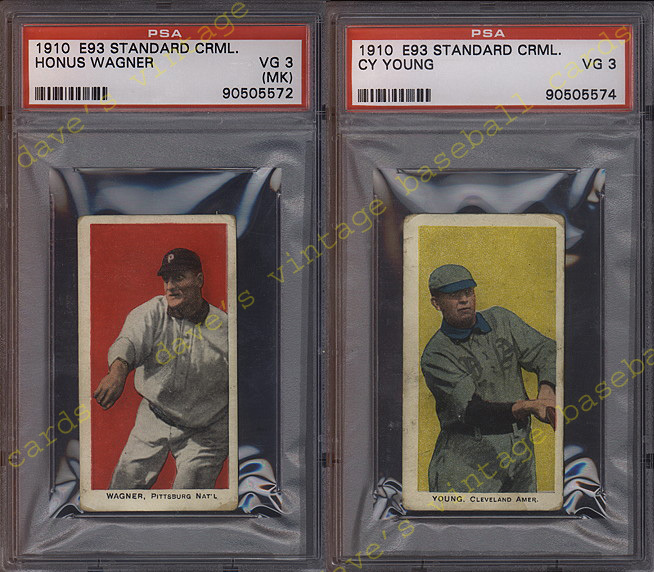 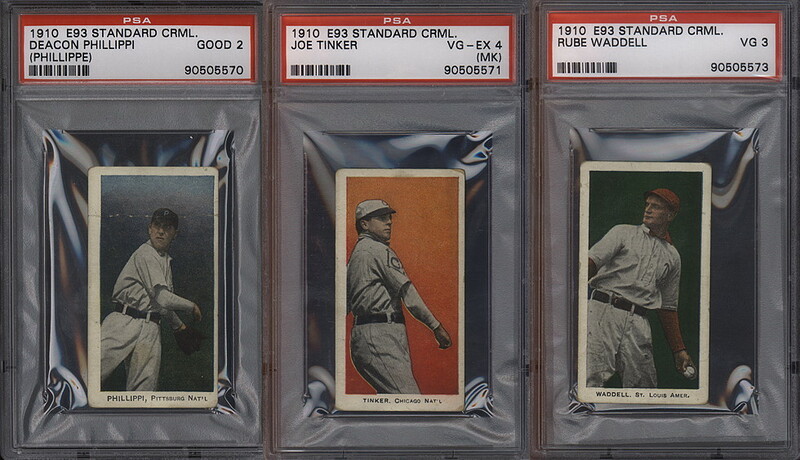 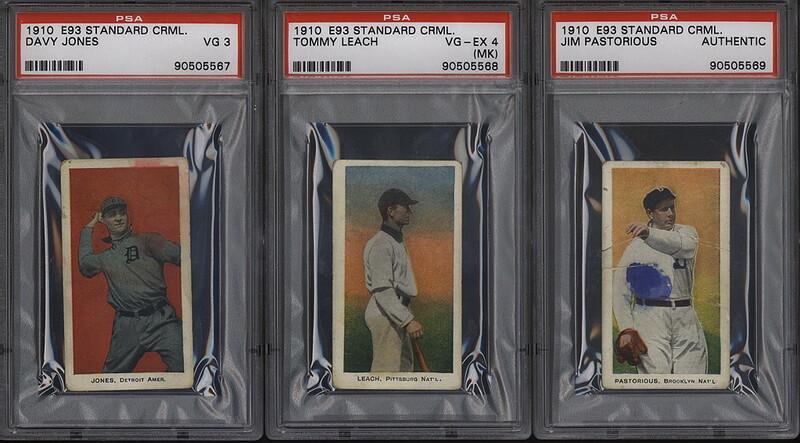 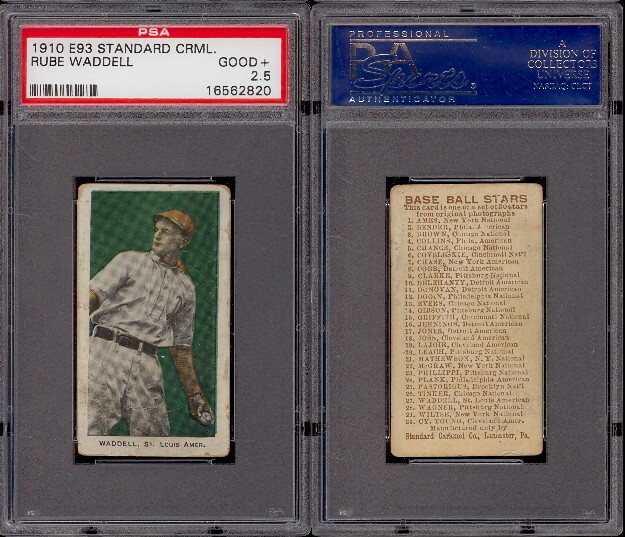 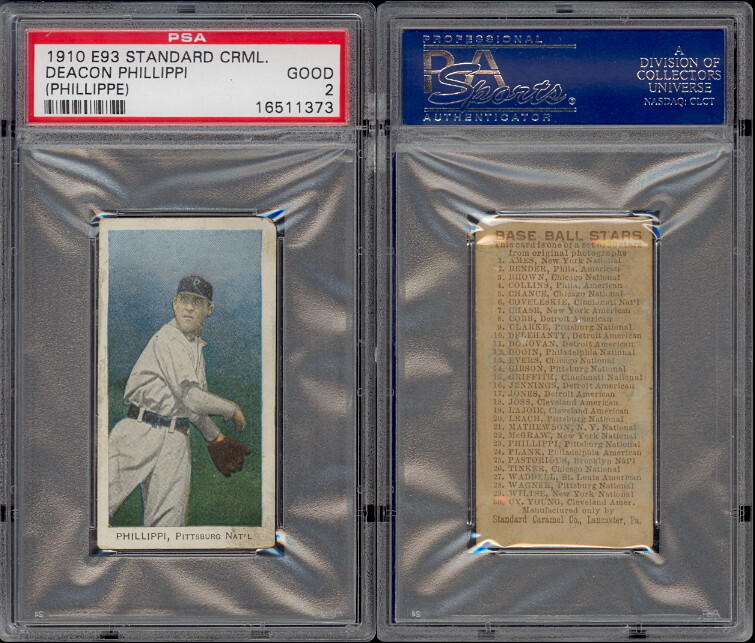 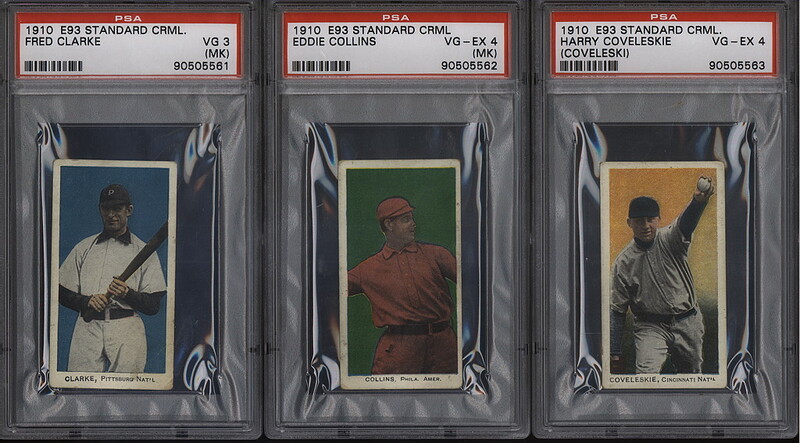 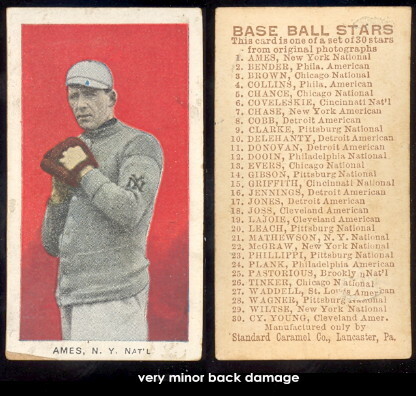 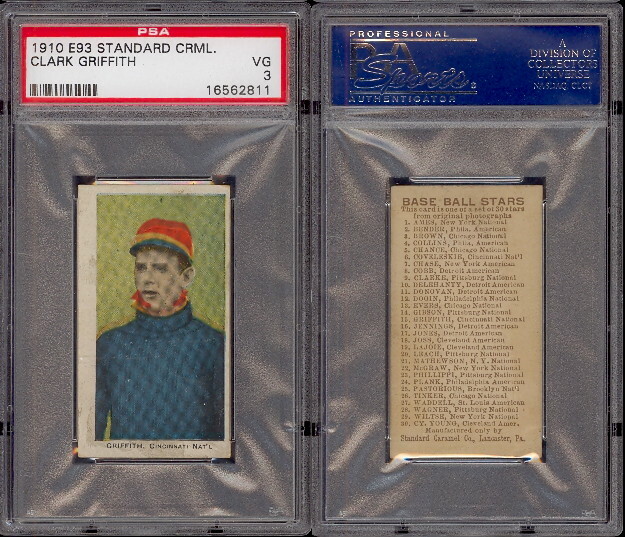 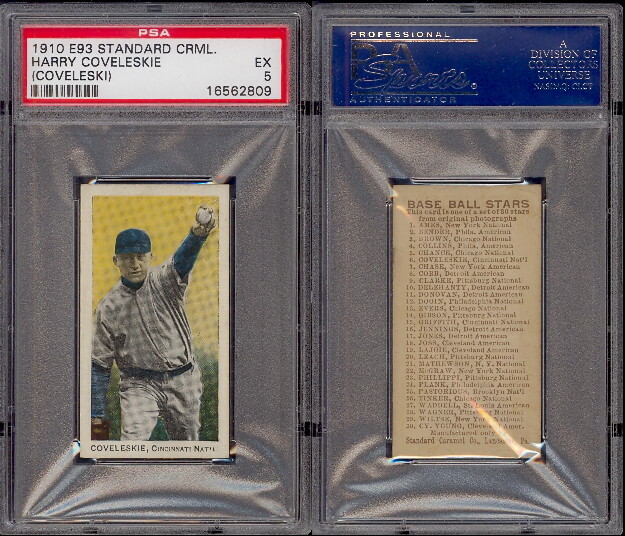 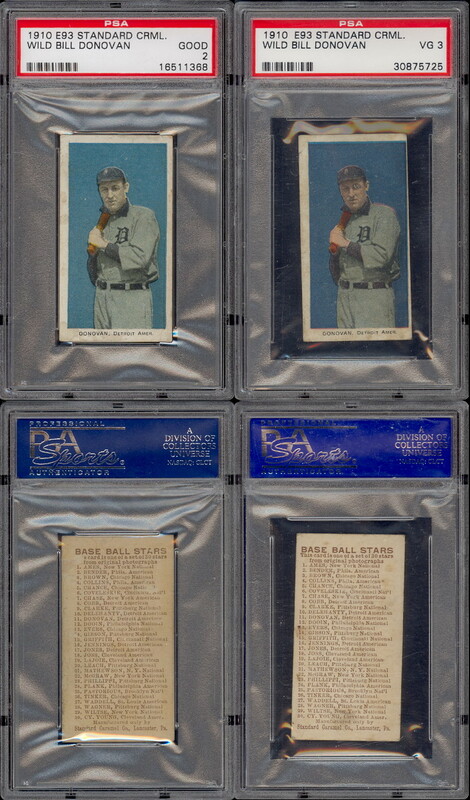 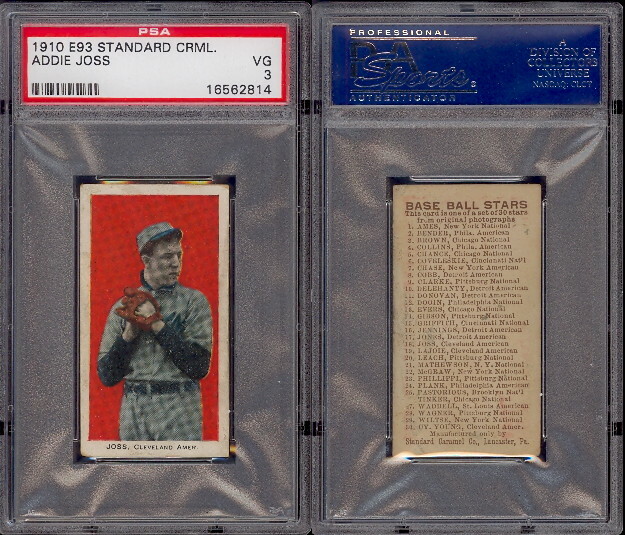 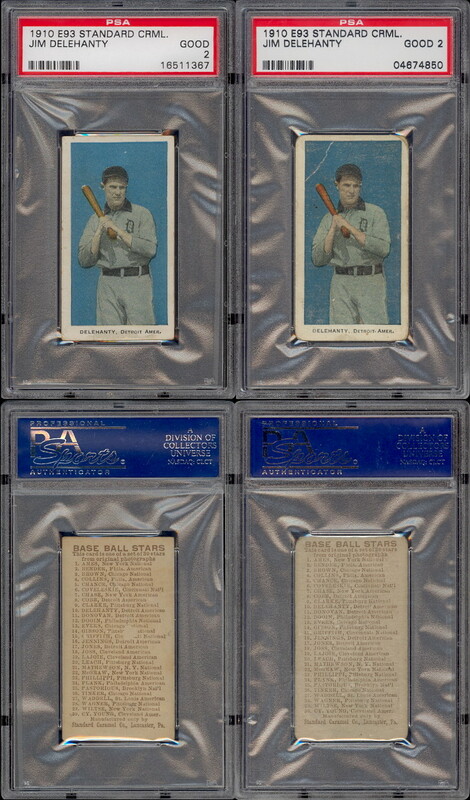 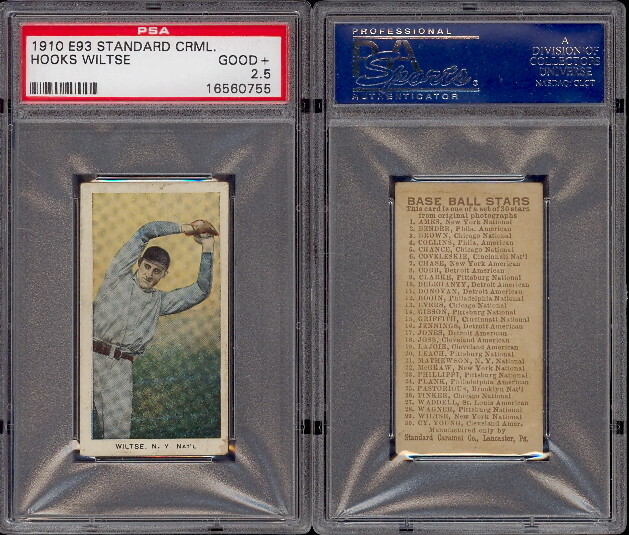 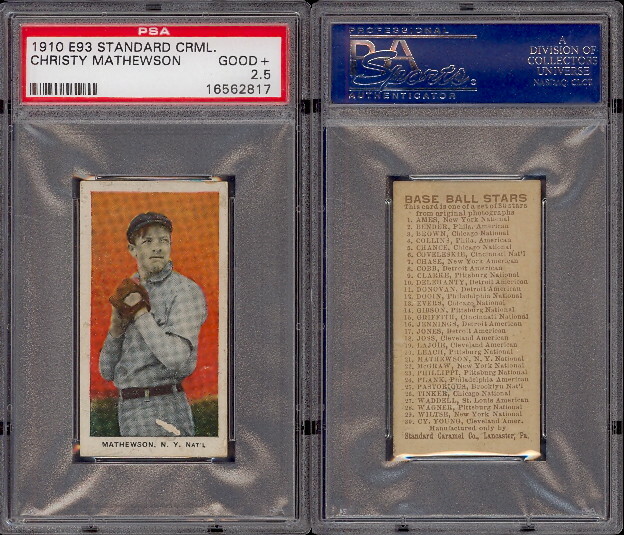 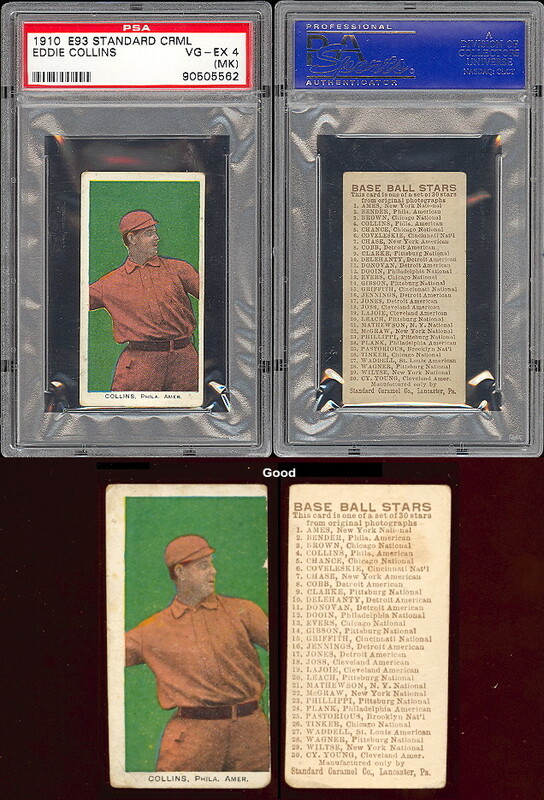 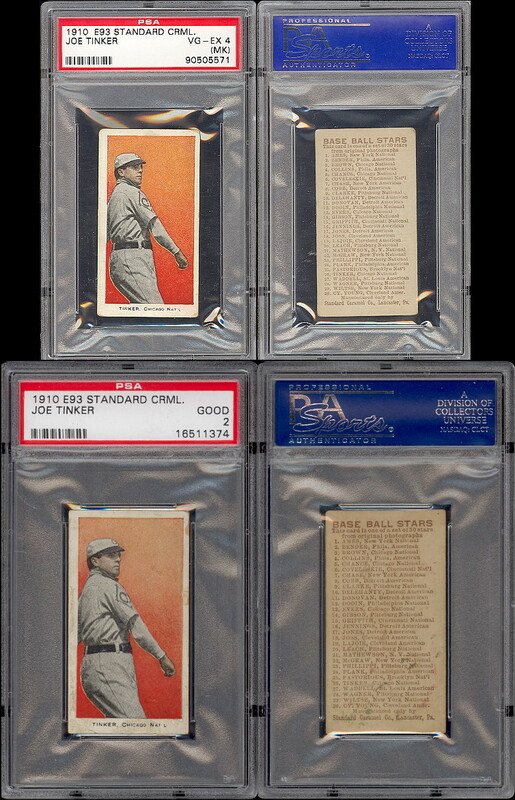 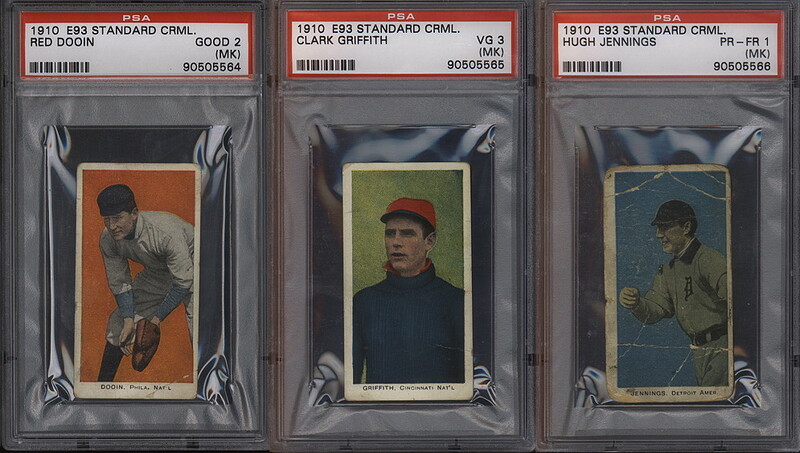 Ty Cobb (psa5)SOLD DAVE'S VINTAGE BASEBALL CARDS PRESENTS 1910 Standard Caramel Baseball Cards. 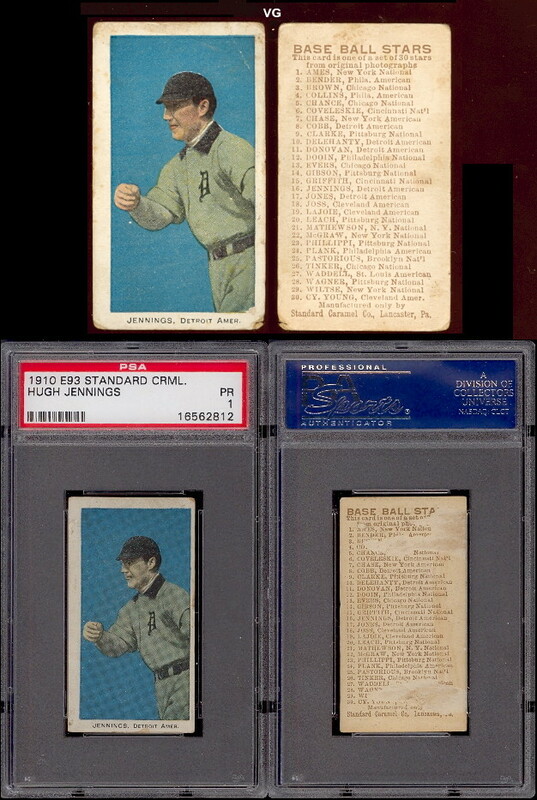 Issued by The Standard Caramel Co. of Lancaster, Pa. Is closely related to several other candy sets from this period which share the same format and in many cases, the same players poses. 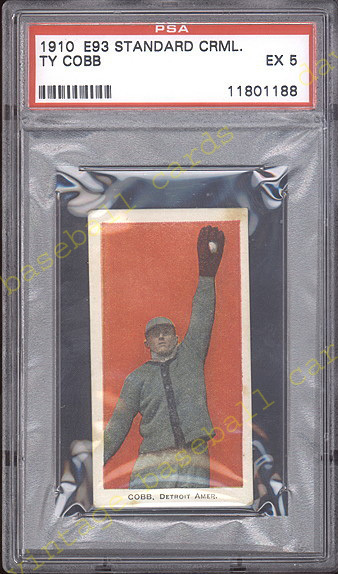 The cards measure 1-1/2" X 2-3/4" and utilize tinted black and white player photos. 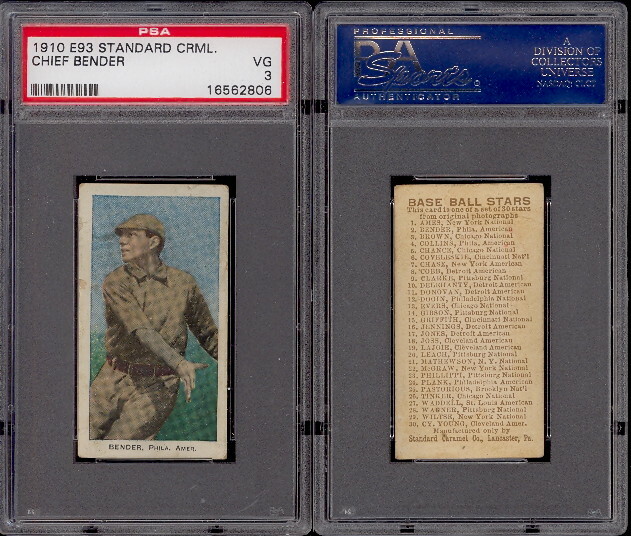 The backs contain an alphabetical checklist of the set plus a line indicating it was manufactured by the Standard Caramel Co.